Cinematically, we can never return. It wouldn’t be the same without David Bowie. 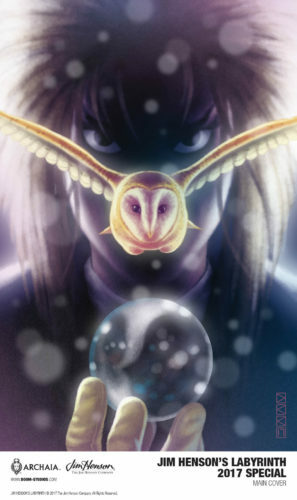 But the world of Jim Henson’s Labyrinth has lived on in comic book and manga form, never better than with what Archaia has done with it. For this upcoming special focusing on Sir Didymus, the BOOM! Studios imprint had me at Roger Langridge, who I consider an under-recognized giant in comics, particularly children’s books. 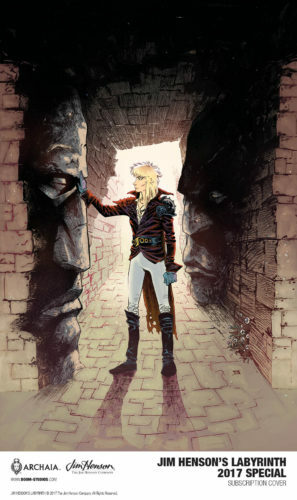 But adding in Jeff Stokely, Ryan Sook, and more, this book became a must-read. BOOM! Studios, in partnership with The Jim Henson Company, is proud to announce the JIM HENSON’S LABYRINTH 2017 SPECIAL, on sale in November. 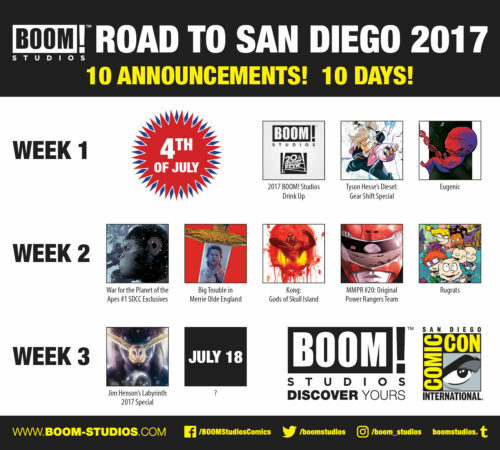 Featuring a diverse assembly of acclaimed creators, including Jeff Stokely (The Spire), Roger Langridge (Thor: The Mighty Avenger), Delilah S. Dawson (Ladycastle), Adam Smith (Jim Henson’s Labyrinth), Katie Cook (My Little Pony: Friendship Is Magic), Ryan Sook (Batman Beyond), Derek Kirk Kim (Tune), and more, this second annual special is an all-new collection of short stories that celebrates the various characters and creatures from the world of Labyrinth (1986). This includes the never-before-told story of how Sir Didymus met his trusted steed Ambrosius, and the story of a goblin running late to the famous “Dance Magic Dance” sequence from the iconic film. 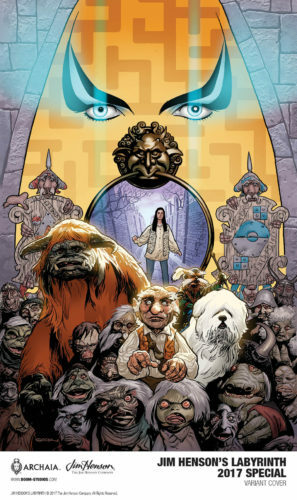 Jim Henson’s Labyrinth 2017 Special is published through BOOM! 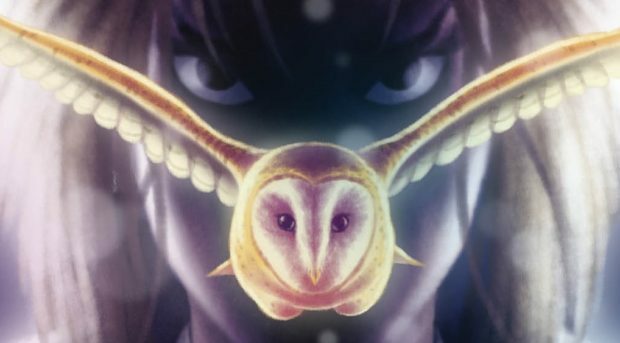 Studios’ cutting-edge Archaia imprint and is the latest release in celebrating the innovative family entertainment franchises from The Jim Henson Company such as Jim Henson’s The Dark Crystal and Jim Henson’s The Storyteller.